Students as young as 12 can now sign up on an online platform for part-time jobs or internships in the UAE. The government-approved platform, Oliv.com, lets students aged 12 and above upload CVs - in both video and text formats - to be considered for part-time jobs, paid or unpaid internships and volunteering. In 2016, Dubai had made it legal for youngsters to work part-time after they get a no-objection letter from their parents and their prospective employers get a work permit for them. This is the first of its kind platform that lets school students enrol for jobs. "When a company says they are looking for some volunteers to come in and do some creative work, for example, they can find those profiles and reach out to them. Anyone from the age of 12 is eligible to make a portfolio and wait for approval," Dee Dissanayake, success executive at the online student recruitment firm, told Khaleej Times on the sidelines of the GEMS Xhibit event. Jean-Michel Gauthier, CEO and co-founder of the firm, said: "It's estimated that 65 per cent of children entering kindergarten this year will work in jobs that don't exist yet. 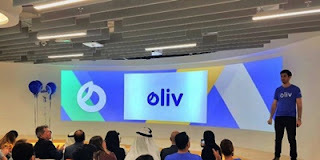 We're seeing the lines between school and the workplace start to blur to get today's workforce ready for tomorrow - which is why Oliv is extending its opportunities and resources to high school students to get our youth immersed earlier than ever."